How to renounce the citizenship of Ukraine? The legislation of most States does not recognize double citizenship, one of the requirements for obtaining citizenship is the cessation of man's present nationality. In this article, we will analyze the procedure of termination of Ukrainian citizenship and will try to highlight the best of them. The procedure changes a person's citizenship easier if the countries bilateral agreements governing automatic termination of citizenship of one country at the time of acquisition of citizenship of another country participating in the agreement. By the way, our government has signed such agreements with Tajikistan, Belarus, Kyrgyzstan and Georgia. In the absence of such international agreements, a person who wishes to change his nationality, will have to deal with quite a long and complex procedure for withdrawal or loss of Ukrainian citizenship. 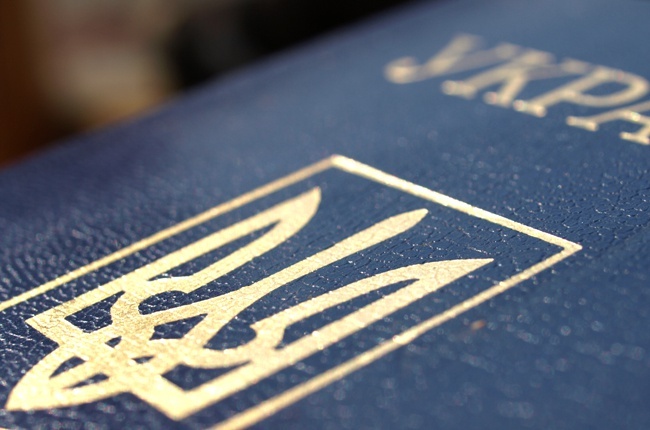 The main normative-legal act establishing the General procedure for acquiring and terminating citizenship of Ukraine, the Law of Ukraine "On citizenship of Ukraine". Thus, a more detailed procedure for termination of citizenship of Ukraine determined the Order of processing of applications and submissions on citizenship of Ukraine and implementation of decisions approved by the decree of the President of Ukraine No. 215 dated 27.03.2001 G.
Overall, "get rid" of the Ukrainian nationality is possible in the case of citizenship, or in connection with its loss. The procedure of renunciation of citizenship of Ukraine is the mutual desire of the person and the state. That is, the procedure for termination of citizenship of Ukraine may be initiated and conducted only in case of consent of the person who has addressed with the corresponding petition to the competent state bodies of our country. In this case, the state must agree to the initiative of a man and satisfy her in the absence of impeding circumstances. The main condition for the possibility of termination of Ukrainian citizenship by withdrawal is the fact of permanent residence of the citizen abroad, issued in accordance with the current legislation of Ukraine. Thus, the citizen leaving for permanent residence from Ukraine, is obliged to undergo pre-departure procedure for permanent residence, and after moving to the country then stay to register at the consular institution of Ukraine, or in subsequent termination of Ukrainian citizenship by withdrawal is quite difficult. Simply put, in this case, to undergo this procedure will have to return to Ukraine. - two photographs 35 x 45 mm; - a notarized copy of the passport with a mark about departure for permanent residence abroad; - a document confirming that You have acquired the citizenship of another country or a document confirming that You will acquire the citizenship of another country if come out of the Ukrainian citizenship. Services of the Ukrainian diplomatic missions and consulates to receive and review Your documents on withdrawal from the citizenship of Ukraine are paid, and therefore to the above documents You will need to attach proof of payment to the Consulate. Keep in mind that the procedure of renunciation of Ukrainian citizenship of children is a list of conditions resulting from a range of circumstances. In turn, the diplomatic mission or Consulate within one month shall consider the submitted documents of renunciation of citizenship of Ukraine, and bring them back for deficiencies or to prepare the conclusion on possibility of satisfaction of the petition, or to send them to the Ukrainian foreign Ministry. Further, the Ministry of foreign Affairs within one month should return the documents for revision or to approve the conclusion of a diplomatic mission or consular post and to send the documents to the Commission under the President of Ukraine on citizenship. All, the Ukrainian legislation in case of necessary rework of documents and the time of their shipment, for the diplomatic missions and consulates of Ukraine has shared an eight-month period for proceedings on the petitions of the citizens on secession from the citizenship of Ukraine. In turn the Commission under the President of Ukraine on issues of citizenship in the course of one year is obliged to consider applications of citizens on secession from Ukrainian citizenship and to pay to the President of Ukraine proposals on making relevant decisions. - voluntary acquisition of an adult citizen of Ukraine of citizenship of another state; - acquisition of citizenship of Ukraine on the basis of article 9 of the Law of Ukraine "On citizenship of Ukraine" in consequence of fraud, willful provision of false information or false documents; - the voluntary recruitment of any state, which is in accordance with the law of that state is not a military duty or alternative (civilian) service. At the same time, in the first and third case, the procedure of loss of the Ukrainian legislation shall not apply if the citizen of Ukraine will become a stateless person. The deadline for the termination of citizenship of Ukraine by its loss of similar period during which is made the yield of the Ukrainian citizenship. In contrast to the procedure of renunciation of citizenship of Ukraine, the procedure for loss of Ukrainian citizenship is free. In addition, the process of loss of citizenship of Ukraine, unlike out of it, can be initiated, as the Ukrainian diplomatic missions and consulates outside of our state, and the divisions of internal Affairs of Ukraine. As in the first and in the second method, Ukrainian citizenship shall be considered terminated from the date of publication of the relevant decree by the President of Ukraine. Analyzing the above procedures for the termination of Ukrainian citizenship, it can be argued that the least troublesome will be the loss of nationality. At the same time, the fact that at its core this procedure is initiated by the state, does not prevent You to use it. Sufficient notice in writing to the diplomatic mission, Consulate or Department of the SCS of Ukraine about the event You have grounds for loss of Ukrainian citizenship and to provide proof of voluntary acquisition of citizenship of another state. In turn, these public bodies of the requirements of legislation required to initiate the termination of Your Ukrainian citizenship. In any case, the choice of a procedure for termination of citizenship of Ukraine depends on Your goals, timelines, resources and circumstances. Despite the differences in the nature of the procedures described, they are to a whole. Remember, using a legal services specialist, You will be able to greatly simplify your path to the cessation of the Ukrainian citizenship.